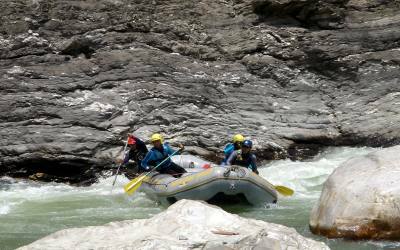 For first time paddlers, a trip down the Trishuli is an experience not to be missed (class 3 to 4+ in high water).While you learn to handle the river’s well spaced, straightforward rapids, a panorama of stunning gorges drifts quietly past. 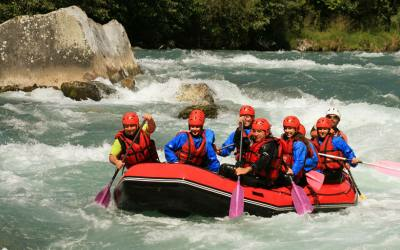 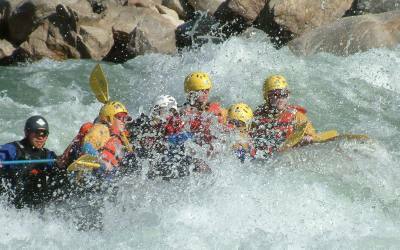 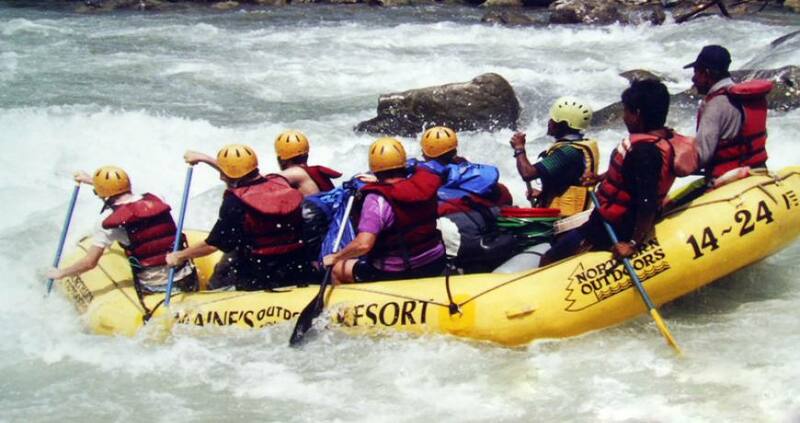 During the monsoon, the river promises a more challenging ride, with powerful rapids and whirlpools. 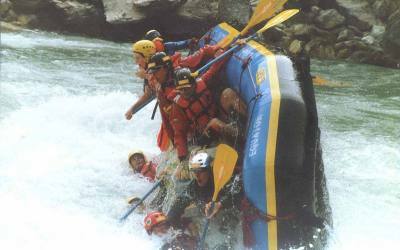 This trip can easily be combined with a visit to Chitwan National Park or Pokhara. 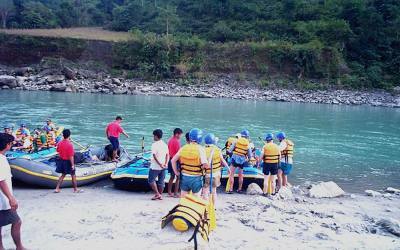 Day 02: Arrival at Hille Bazaar, after lunch a short trek and overnights camping. 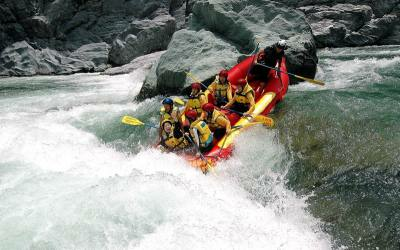 Day 03: Full day trekking and overnights camping. 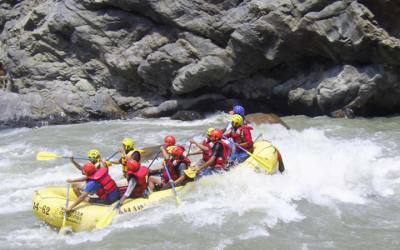 Day 07: Rafting to Chatara, lunch and then drive to Dharan, continue by nights bus back to Kathmandu.